This will be a two part series due to popular demand. This first part deals with the decisions behind switching to Amazon, the second part will deal with the nitty gritty implementation details we use to auto scale our infrastructure. For a good number of months we had our infrastructure based on Hetzner but due to our service growing and a need to scale dynamically we decided to research cloud platforms and move to the cloud. Additionally we experienced severe networking issues from time to time which forced us to switch. We had several other requirements as well, but following are our core needs a cloud service has to address. We want to be able to scale to any size at any time without limiting ourselves by having to set up or manage physical servers. A cloud provider with good automation support was thus the only viable route to go for us. We want to stay flexible in what type of server infrastructure (number of cores, RAM size, …) we use so we can innovate continuously and also provide different infrastructure for the differing needs of our customers. This also has a major role in our costs as we can use the exact server type we need for a specific task. As a hosted continuous deployment service releasing changes and scaling automatically is a necessity. When automating the whole process of deployment and scaling we can provide a much better service with fewer points of failure and faster recovery in case of an error. Additionally it allows us to decouple the scaling of our infrastructure with scaling our team. We simply do not have to hire additional server admins because we run a much larger infrastructure. We looked at various Providers including Rackspace, Linode, ElasticHosts and Amazon EC2. Especially Rackspace was great and their support is just incredible, but in the end we decided to go with AWS EC2 as they provide a lot of flexibility with their various Instance Types. We looked into ElasticHosts only a little, but they seem fine as well. 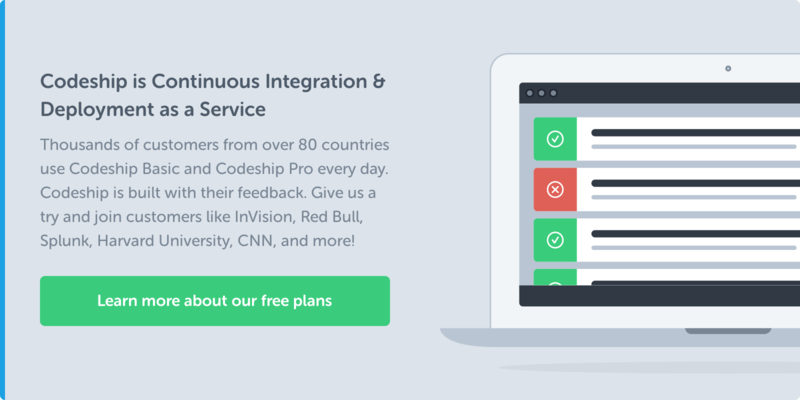 Linode was out of the picture fast, as they do not provide per hour pricing. We will split this section into two parts, Automated Deployment and Automated Scaling, which describe how we introduce changes to our backend infrastructure and how we scale our backend respectively. After all unit tests succeed a new Amazon Instance is started with a default Ubuntu 12.04 image. We then connect to that image via SSH, upload the necessary setup scripts and start a background setup process. The setup process includes installing various linux packages and setting up our LXC guest system which we use to virtualize the EC2 servers. This process takes approximately 2 hours as we compile and install lots of software. After everything is set up a test build with our test repository is run to make sure everything is installed correctly and works as expected. If everything works fine we instruct Amazon to create a new AMI that we can use as a base image to start new servers. As soon as the AMI is ready it is automatically used by our scaling system. We have used this process before we switched to Amazon as well with our Hetzner Infrastructure, but improved it drastically when we switched to Amazon. It makes changing our backend incredibly easy and gives us extreme power and control in innovating our service. We simply love it and couldn’t imagine working without it anymore. And not to forget having this automated system makes it much safer and less error prone. It is really hard now to accidentally introduce errors into the system as it is checked several times and improved continuously. We automatically scale our infastructure up and down depending on the number of builds we currently need to run. Every time a new build is started we make sure that enough resources are available for the build to start immediately. If there aren’t enough backend servers running we start another EC2 instance. As EC2 instances start in a matter of seconds the delay is only very minimal and not noticeable. Upon completion of every build and every ten minutes through a cron job we check if there are any EC2 resources currently not necessary and stop the servers accordingly. We make sure that we use as much of every EC2 hour as possible by only stopping them shortly before they incur further expenses. It took us quite some time to build the current infrastructure and the automation to get the most out of it. But this is only the beginning. We have major plans to innovate on this very stable platform to give you unparalleled speed, flexibility and prize. For example we will shortly give you the ability to run your tests on Instances with up to 8 cores to parallelize your tests and reduce the time your tests take dramatically. 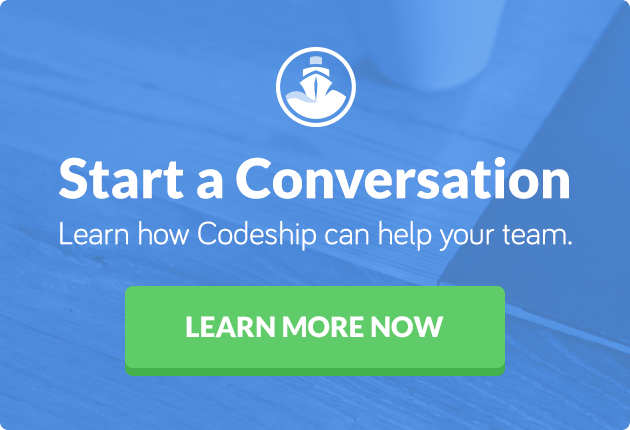 We are really thrilled for the future of Codeship and can’t wait to tell you all the good news and updates we have in store over the next weeks. We have written another blog post explaining why we double down on AWS and the cloud.